Who doesn't love a classic striped t shirt? This gorgeous Shoreline jersey top the perfect everyday go-to top! 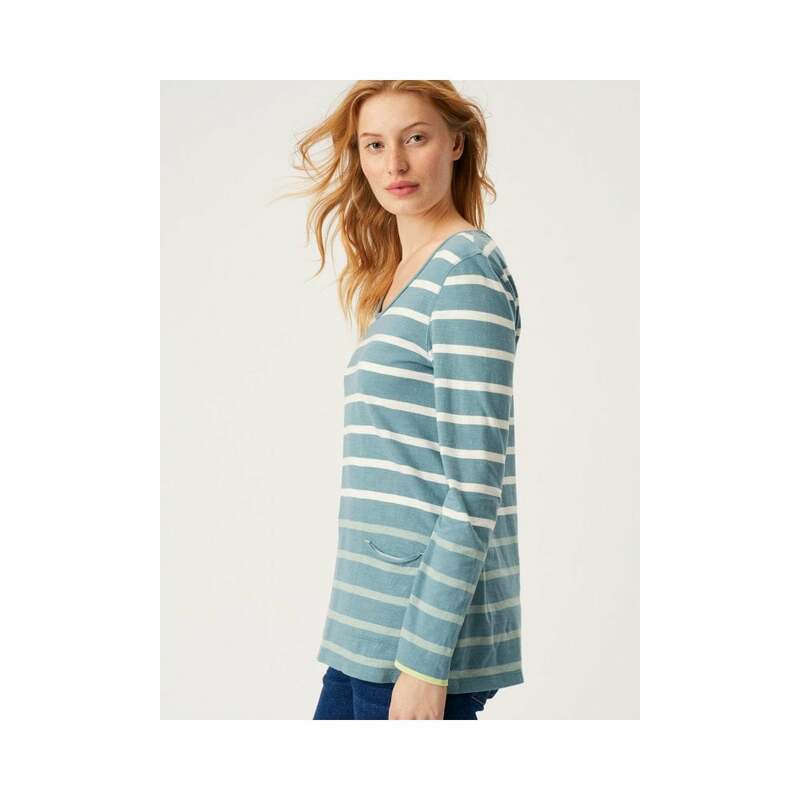 Crafted from 100% cotton this comfortable top features a scoop neck, relaxed fit, long sleeves and 2 handy front patch pockets with rolled edges.